The Pistons are going to have some money to throw around this offseason, and with Joe Dumars out the door, you can rest assured that Jimmer Fredette will not be getting a 4-year, $30 million offer from Detroit. The Lebrons of the league are likely sticking with their current teams (with the exception of Carmelo Anthony) and wouldn't be interested in coming to Detroit anyway. But there are a handful of players that should be on the Pistons' radar. For the purposes of this post, I cherry picked only the players I think the Pistons have a reasonable shot at signing (for example, Eric Bledsoe will garner interest around the league, but the Suns have already said they'll match any offer he receives). Stephenson is going to get paid this offseason. After leading the league in triple doubles and looking like a player only beginning to realize his potential, he is the leading candidate to get wildly overpaid. I'm skeptical of the impact he could have on a team like the Pistons where he would be asked to play a significant role in the offense; Stephenson appears best suited to be a third option, but he's going to get paid like a star. With the Pacers floundering and a mess of contracts ballooning, they'll be hard pressed to offer Stephenson the money he will command. Why the Pistons want him. Stephenson can shoot, rebound, pass, play defense, and has athleticism to burn. 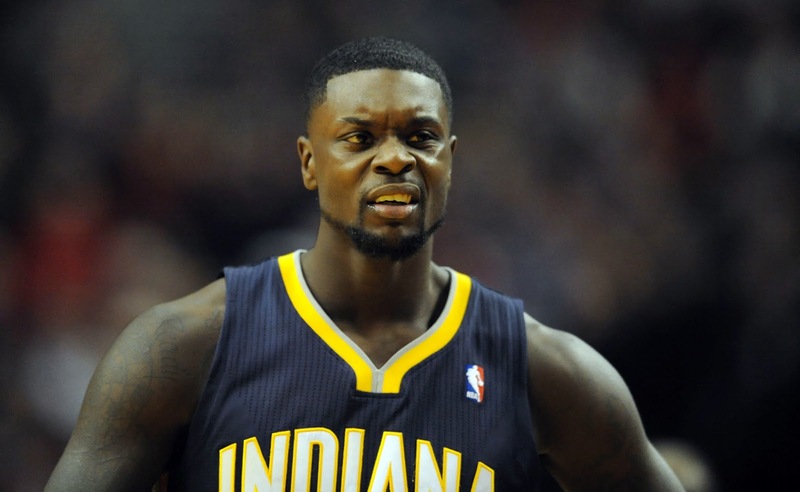 As a SG/SF tweener, Stephenson could offer the Pistons some flexibility in the backcourt. He provides perimeter defense and scoring at positions of need for the Pistons. Problems? We have no idea if he's actually any good. Despite all of the triple doubles and being a major contributor on the #1 seed in the East, Stephenson posted a 14.72 PER and averaged only 13.8 points, 7.2 rebounds, 4.6 assists in 35 minutes. He's more of a Swiss army knife than a day-in day-out star. Projection. The Pistons back a dump truck full of money to his house. So do a lot of other teams. He picks somewhere else. You probably remember Deng as a defensive-minded small forward who was perfectly suited playing second fiddle to Derrick Rose. That's how he would want to be remembered. But like all things that go to the Cavaliers, his performance has taken a 180º. The Bulls traded Deng mid-season to cut costs, a move that ruptured Chicago's team chemistry and proved fruitless for the Cavaliers who were making a push for the playoffs. Since coming to the Cavs, Deng's per 36-minute shooting percentage, rebounds, assists, and points have all taken significant declines. Why the Pistons want him. Deng would add shooting and perimeter defense to a team that needs both. This would require Josh Smith to move to the power forward position--a net benefit for the team--and would likely indicate the team parting ways with either Smith or Greg Monroe. Problems? 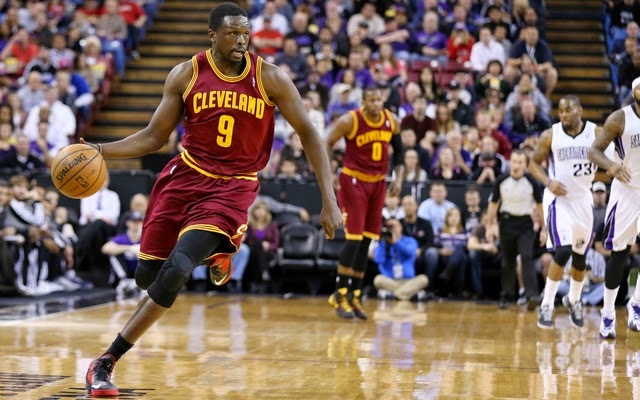 Deng is coming off of a $14 million contract and may be looking for more than the Pistons are willing to offer. He's not worth a major deal, but if Detroit can get him for 3 to 4 years at $8 million annually, he might be worth it. Projection. Asks for too much money, which the Pistons' new GM wisely refuses to pay. Granger appeared all but dead when he was traded by the Pacers mid-season. He was posting his worst numbers since his rookie season across the board. Since coming to the Clippers, Granger, who is no longer being counted on as a first option has shown a resurgence (see also: Evan Turner and his move to Indiana). Though he'll never be the max contract player he once was, Granger appears to have something left in the tank. This summer, he hits the free agency market while holding a player option for next season. Given his injury status, he may look for the largest contract he can and skip out on the possibility of winning a title with LA. Either way, his improved play with the Clippers should earn him somewhere in the range of $5 million a year. Why the Pistons want him. Granger is a skilled offensive wing player (see a trend here?). He'd bring veteran leadership to a team that needs it and is accustomed to coming off the bench, which would allow the Pistons to keep its existing starting lineup (not necessarily a good thing, but it may be for the ownership). He should be affordable and in search of money and years, rather than a title, a rarity for players of his caliber that would enable the Pistons to be players in his free agency. Problems? How many good years does he have left? Chances are, he'll look for a multi-year deal worth somewhere near the mid-level exception (which the Pistons are already using on Kyle Singler). In addition, he's succeeded with the Clippers because he no longer has to carry a significant offensive load. That's not a luxury the Pistons can offer. Projection. He leaves the Clippers for whoever offers the most money and years. The Pistons' roster situation will determine whether or not they're major players here. If both Greg Monroe and Josh Smith are around, it's unlikely the Pistons make a serious play. It they're able to move one of them, bolstering the frontcourt depth will be crucial. The Oklahoma City Thunder have almost $70 million in contracts already committed for the upcoming season, making Sefolosha's free agency a problem for them. Though he's not prohibitively expensive, the Thunder brass have already shown that they're unwilling to dish out money in order to win a title (see: James Harden trade). Losing Thabo wouldn't be a significant hit to the Thunder, but it would put them down a starter. 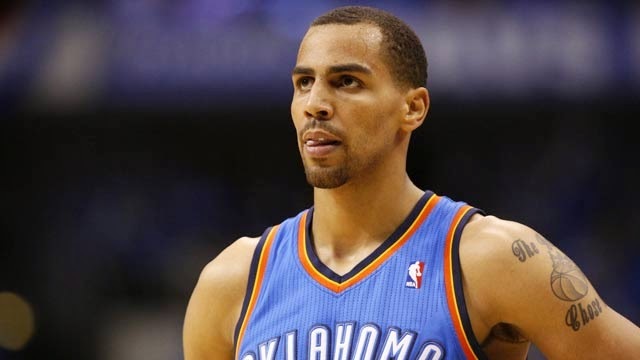 As a Bird Rights signee, the Thunder could re-sign Sefolosha, but they may also try to turn Reggie Jackson or Jeremy Lamb into a consistent performer. Why the Pistons want him. Perimeter defender. Floor spacer. Inexpensive. We've been over this. Problems? Bird Rights make him easy to re-sign for the Thunder. Projection. Returns to Thunder. Offering Thabo the kind of money that would get him to leave a perennial title contender is probably a bad long-term contract. Of all of the players on this list, Ariza is probably the one I'd most like the Pistons to sign. 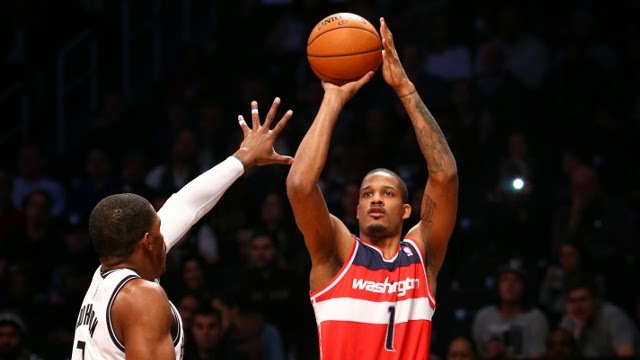 About 80-85% of Ariza's shots this season have either been three pointers or at the rim, both an offensive design decision by the Wizards and an acknowledgement of his role. He gets out in transition, spaces the floor, defends well enough, rebounds, and would add veteran leadership. I expect him to be affordable and open to hearing offers from other teams in spite of his prominent role on a playoff team. Why the Pistons want him. See above. Problems? His performance this season (one of the best of his career) may have as much to do with playing with the likes of John Wall as it does his own improvement. He's 28 years old with 9 years in the league. He may be on the decline despite having a career season. Projection. Pistons offer him some money, but the Wizards offer more. With only $46 million against the salary cap next year and John Wall wrapped up for the next four seasons, the Wizards will try to keep both Ariza and Marcin Gortat who were major players in this playoff run. I do expect the Pistons to sign someone this offseason, but it might not be anyone from this wish list. These are the best fits for the Pistons' current roster, and it's possible they dump money on any one of these players (much of this will depend on the GM situation). There is one name that is floating around on most radars who is probably out of the picture but would be ideal for the Pistons: Chandler Parsons. Parsons is a restricted free agent and would require significant coaxing to leave Houston. However, with the outside possibility that Carmelo Anthony takes a paycut and heads for Houston, Parsons could become too expensive for the Rockets. I'd be perfectly happy if the Pistons shelled out for a long-term, near-max deal for Parsons, but the likelihood of him leaving Houston approaches zero. A relatively uninspired free agent class may force the Pistons to dole out more money for any of these players than they're worth, but each one fills a position of need for Detroit who will have both the roster spots and cap room to add major pieces. Then again, a new GM may be more cautious with his cap room than Dumars and stay away from overpriced free agents this summer.